Q) Can I take my Driver Ed. before I turn 16, or if I don’t yet have my G1 license? A) You may enrol and do the in class before you turn 16, but you may not drive until you have your G1 licence. You must complete driver ed within one year of your first in class lesson. Q) Will I get a certificate when I complete my Driver Ed? A) Driving schools no longer issue driver education certificates, your course completion info will be uploaded directly to the Ministry of Transportation (MTO) computer system. You will need nothing in writing to book a road test, it will be in their computer files. For insurance purposes, you will have to purchase a Driver License History at Service Ontario and present this to your insurer for a possible insurance discount. Q) How do I get freeway driving experience if I can’t drive on the freeway? A) You may drive on the freeway with a licensed driving instructor. Q) What car can I use for a road test? A) Vehicles are not supplied by Drive test, for road tests. If you have a vehicle at home that you are used to, we suggest you use that, it will save you money. If you don’t have access to a suitable vehicle we can supply a car for your road test, for a reasonable fee, with some notice. Q) How should I choose an approved driving school? A) My advice is to contact at least 3 different driving schools and compare prices, course completion times, and training offered by each. You should also ask some of your friends about their experiences doing Driver Ed. 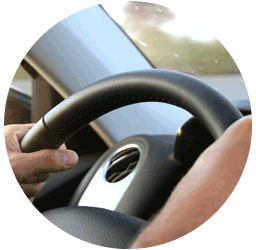 Your driver education experience should be enjoyable, informative and affordable. Check the MTO link for approved schools. Q) Where can I find out about car insurance? A) You should check out the Insurance Bureau of Canada link on our web page, most of what you’ll need to know will be found there. Q) How do I get my Ontario Driver Licence? A) You should check out the MTO and Drive test links on our web page. If you have other questions you can call me anytime, (leave a message) or use the contact (email) link to ask for further info.